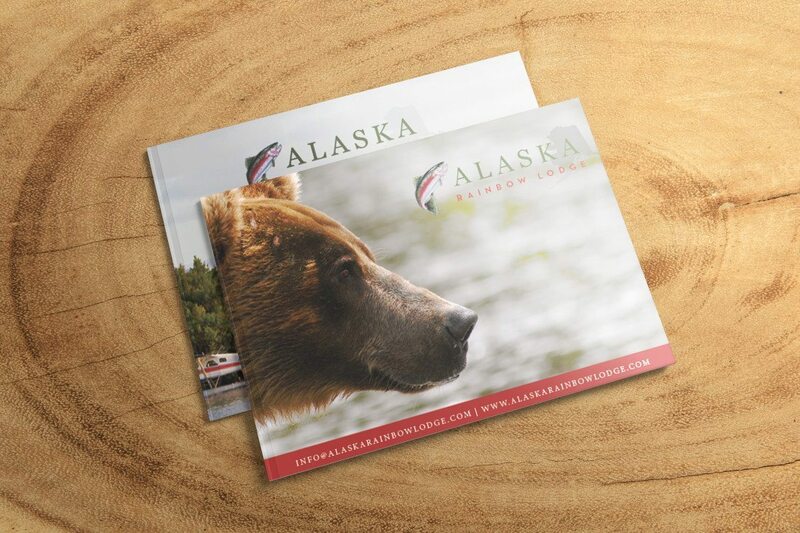 Dallas logo design agency, Doodle dog releases our new nature-inspired designs for Alaska Rainbow Lodge featuring a new logo design and brochure with an outdoorsy color palette. 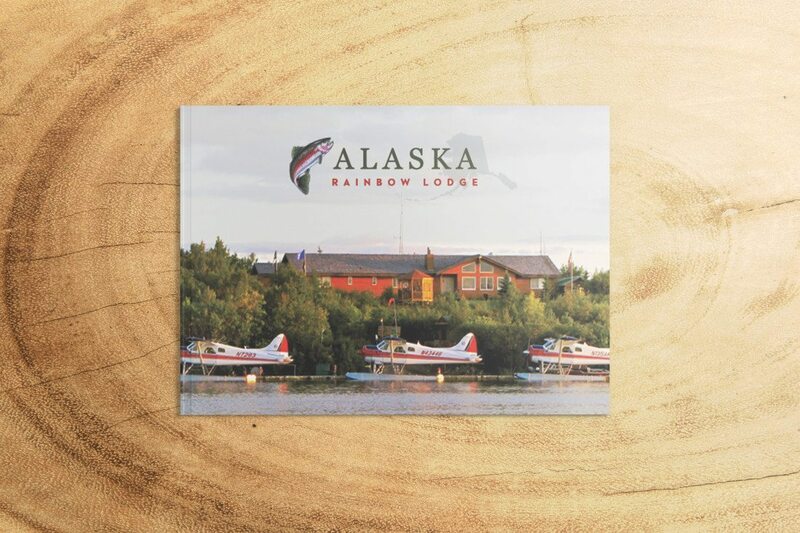 We always welcome the opportunity to work with a unique client, as was the case with Alaska Rainbow Lodge. Chip and his wife Amanda own a one-of-a-kind authentic Alaskan lodge, where they host guests for phenomenal fishing experiences. Chip has been involved with the lodge for years, and was honored to take on ownership of the lodge when its original owner was ready to pass on its heritage. First we gave the existing logo a facelift, refreshing it to feel a bit more updated without losing the recognizable features the lodge wanted to keep. The logo design puts a modern update on classic serifs. 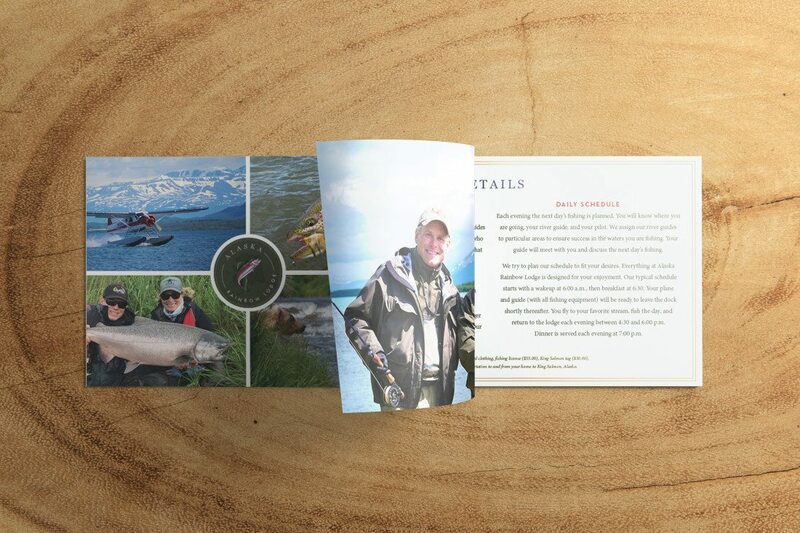 An outdoorsy color palette completes the refreshed brand, which we then applied to new letterhead and business cards. 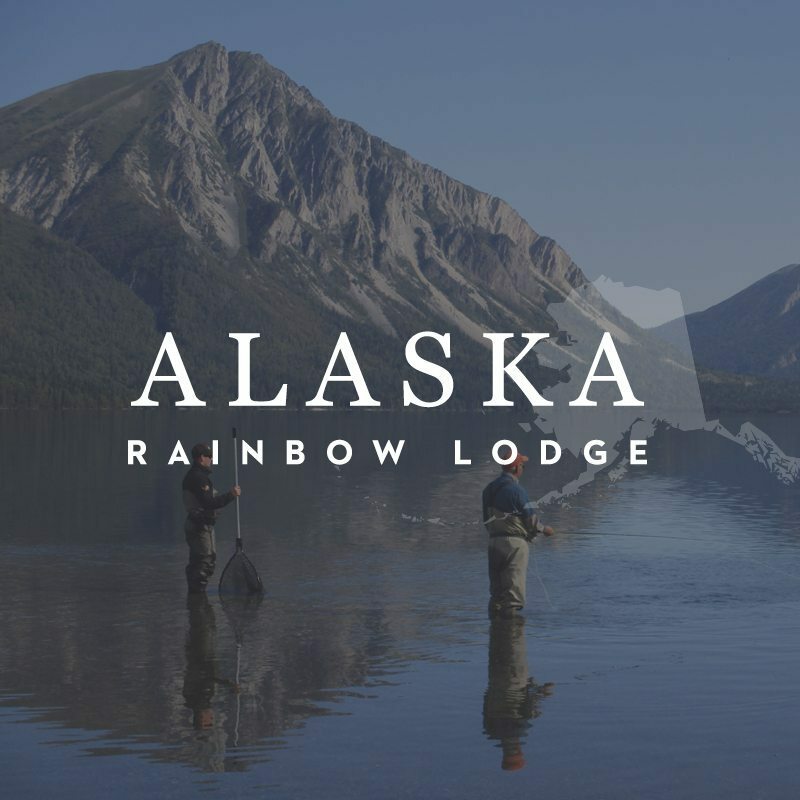 We also updated Alaska Rainbow Lodge’s promotional brochure, an informational booklet detailing all the incredible aspects of a trip to this wilderness getaway. 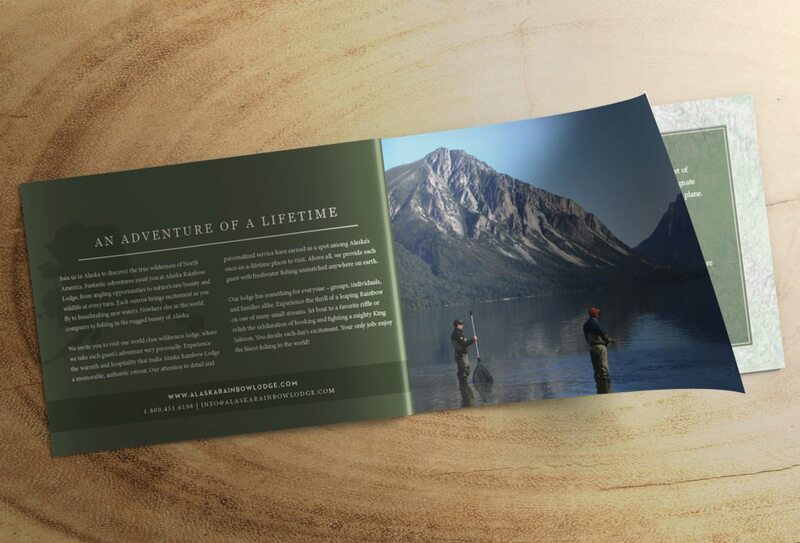 The previous brochure was definitely a bit dated, so we brought a modern feel to this design without losing that nature-inspired feel. Click here to see more examples of brands or websites we’ve had the pleasure of working with.